On World Ranger Day, we pay homage to those protecting the living earth from the very frontlines. Anthropocene, an era of the man, for the man, by man. An epoch in which, human, the self-proclaimed ruler of the world has wrecked relentless havoc on the planet in a blink of geological time. With rivers of oil roiling the soil, chopped up heads of trees, museums of deadly weapons, and bloodthirst for horns, skins, and bones, the Anthropocene is an era of unprecedented decimation. Man, caught up in his unfettered greed and salivating for short-term gratification, is playing a dangerous endgame. But man, if destroyer, can be preserver as well. So is the spirit of the people fighting for the living earth – and all of its surviving breadth. They are the forest guards and rangers, the men and women defending our biosphere. They walk the road less taken, coating the leaves of the jungle with the dust they raise from their boots, or leaving footprints on crescent dunes. They walk for miles as if an obsequious follower awaiting spiritual salvation. They do it for the love of beautiful beings – both big and small, striped or spotted, discovered or yet not known. They look out for the other species, let them be, live with giants, pull them out of the bloody clasps of greedy men, build an ark for them, save their homes, and when it gets too late, bury them in the same soil with dignity. Very often, these rangers and guards, while protecting the earth’s biosphere, fight a losing battle against their own. 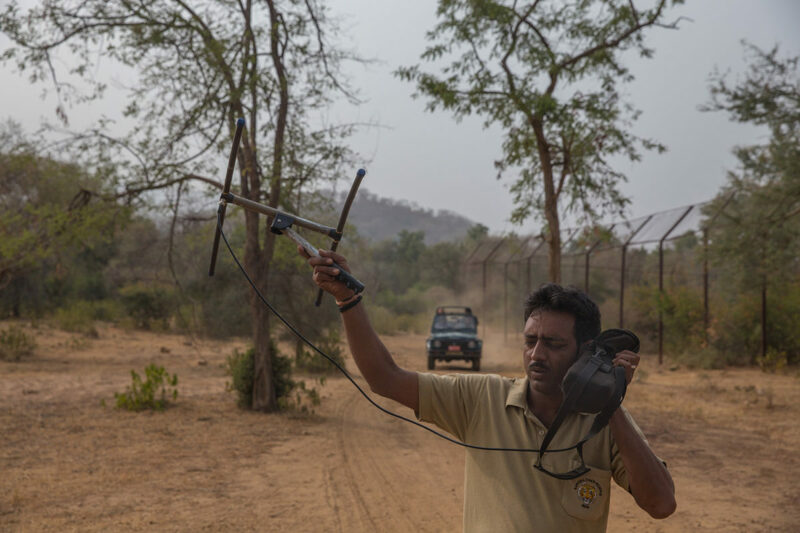 India, our motherland, is notorious for the highest rate of ranger mortality in the world, as per reports by the International Ranger Federation. Year after year, the non-profit’s call of honor is dotted mostly with the khaki of India’s fallen, some engulfed in raging wildfires, others at the gunpoint of ruthless poachers. To steal a glimpse into the lives of India’s forest keepers, I started documenting their complexities across national parks since August 2017. I have traveled from the wind sculptures of Desert National Park in Rajasthan to the verdure of Pakke Tiger Reserve in Arunachal Pradesh. I have slept under starry skies, learnt about hornbill beaks, and tigers; of baby rhinos with poop problems and painted storks. In an honest journalistic attempt, I have explored the people protecting earth’s magnificent beasts, with their strengths and flaws– their messy file cabinets, their lack of training, their shortcuts and motivations stemming from purely the lure of a government job. But what stands out across the expanse of terrain and characters, is a tenacity and resilience to serve the soil and the sea. The guardians’ love may be skewed towards giants, as the Anthropocene abhors them. Man cannot stand to share the earth with large animals anymore. But there is a legion of rangers who protect the lesser known beings, smaller things, that are as important to the biosphere. In Intangki National Park in Nagaland, crime investigators crack down on traffickers of the Tokay gecko, a beautiful, puerile lizard of the lesser god. In Goa, foresters prevent the overharvesting of mushrooms along the Western Ghats. 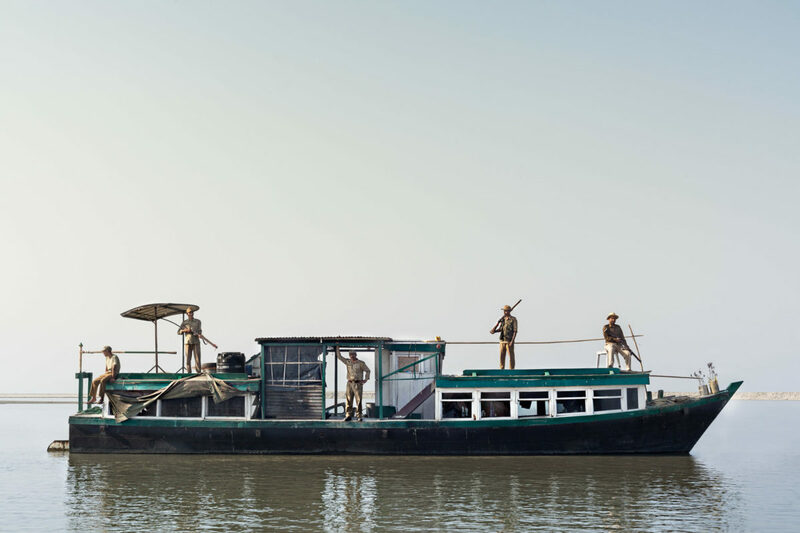 Through these rangers in different topographies — from the mountains to the sea, the desert to the Deccan —we learn what it truly takes to keep things wild. We celebrate them and their fight for the living planet. The forest rangers do not preserve the earth as a moral imperative of humanity. Instead, in a caring concomitance with nature, they preserve humanity itself. ‘Ranger Ranger’ is a long-term multimedia project led by Sonali Prasad, in creative collaboration with platform mukha.co The project is being exhibited at Jor Bagh metro station in New Delhi from July 29 – August 10 in celebration of World Ranger Day.